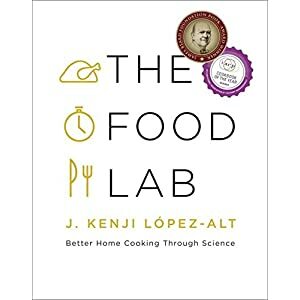 THE TOP 100 HEALTHY MODERN MEALS AND SOPHISTICATED SOUS-VIDE RECIPES WITH PHOTOS, SERVING SIZE, AND NUTRITIONAL INFORMATION FOR EVERY SINGLE RECIPE! There is a revolutionary new way to enjoy remarkable, home-cooked, healthy modern meals without spending a fortune at Michelin-starred restaurants or spending your whole life in the kitchen! 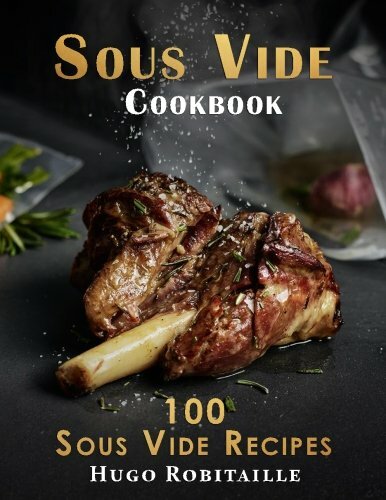 100 of the very best Sous Vide recipes! 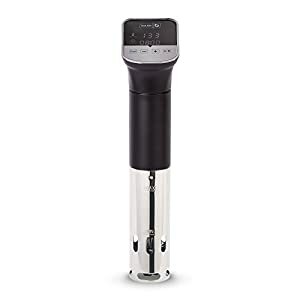 The Sous Vide is rapidly taking its place as one of the most popular kitchen appliances for discerning and sophisticated palates. 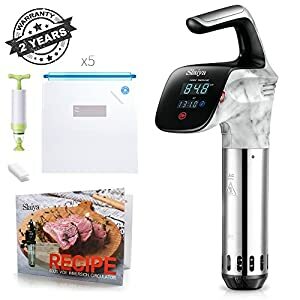 Using the Sous Vide method to cook delicious meals at home is an easy way to elevate your dining and lifestyle while reclaiming your health and well-being. Food isn’t meant to be bland and boring any more then it is meant to be loaded with unpronounceable chemicals. Food is meant to be enjoyed and savored at home with the people you care about most. Now that Sous-Vide cooking has become an option for any home cook, enjoying the most amazing meals of your life doesn’t have to cost an arm and a leg either. Cooking using the sous-vide method means you can prepare elaborate, healthy, tasty meals at home for your entire family without slaving away for hours in the kitchen! Sous-vide cooking lets you save money and time while still enjoying the best home-cooked meals you’ve ever made! 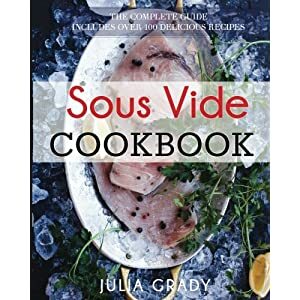 100 healthy and tasty Sous-Vide recipes for breakfast, lunch, and dinner, all with complete nutritional information, serving sizes, and pictures! 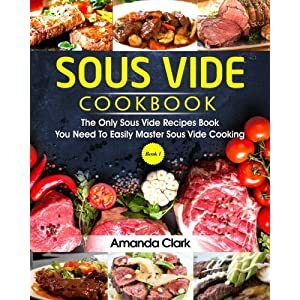 This Sous Vide cookbook makes it easy to get the most out of your Sous Vide appliance! 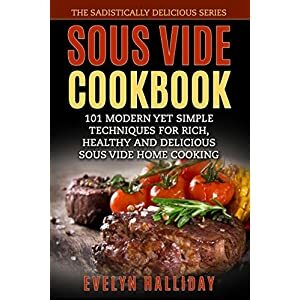 With easy breakfast recipes, fresh and fast lunch recipes, and mouth-watering dinner recipes, this one Sous Vide cookbook gives you enough amazing Sous Vide recipes to last you for months or even years without getting bored! Each and every recipe includes a photo of the meal as well as serving size and nutritional information. Enjoy some of the best meals of your life all while improving your health and losing weight! This collection of 100 of the best Sous Vide recipes truly lets you have it all! Eating meals cooked using the sous vide method does not mean you are on a boring, bland, or starvation diet. 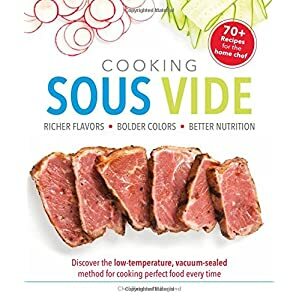 Eating bland and weird food might be one way to consume healthy food, but that is not what the sous vide lifestyle is all about. Let’s face it: if eating healthy food isn’t enjoyable, sooner or later it becomes impossible to stick to. Grab these amazing sous vide recipes now and learn the many delicious possibilities you could have for breakfast, lunch, and dinner today and every day for a weeks to come! Cooking with the Sous Vide method can be fun and easy, but only when you know the right recipes! 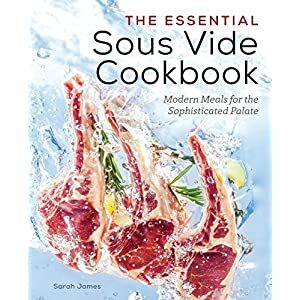 For less than the cost of visiting a fast food restaurant, you can get your hands on months of sous vide recipes, all with complete nutritional information, serving sizes, and pictures in this Sous Vide cookbook. and is so healthy and delicious you will be proud to serve these meals to your family and friends. World class meals you can serve to your family and friends with pride! 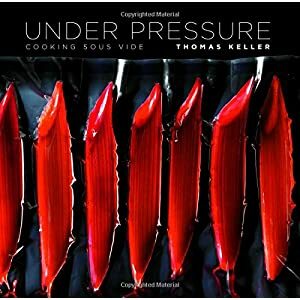 Sous Vide master and fine-dining aficionado Hugo Robitaille has assembled an award winning collection of the absolute best Sous vide recipe that any home cook can enjoy. These recipes will convince anyone you’re secretly a world class chef, even though cooking with the sous vide method couldn’t be easier! Grab the paperback edition of this book today and claim your free Kindle edition with Kindle MatchBook! 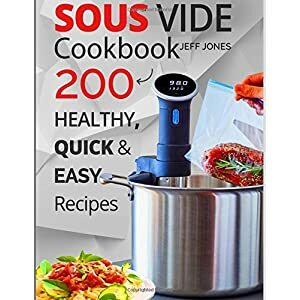 Make a small investment in this award winning collection of sous vide recipes today and permanently elevate your home cooking and dining experience!